Just like the legal system, there seems to have been no designated ancient Egyptian police force system either. It was much more loose than what we imagine a police force to be. Still, there were policemen and guards whose duties were to protect and serve, prevent crimes and catch criminals, and patrol the land.Unfortunately, we don’t know that much about ancient Egyptian police and guards. 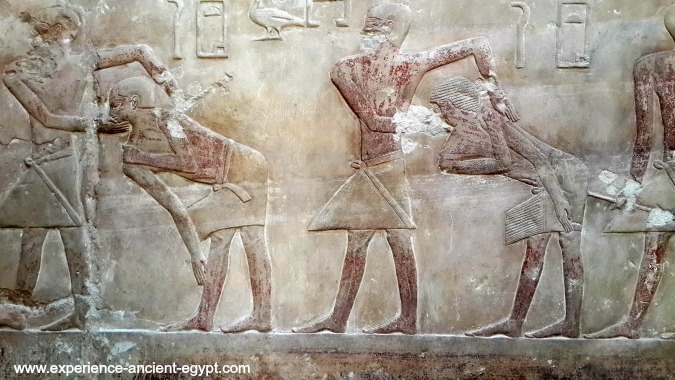 But with a few bits and pieces of information in historical records, like scenes on tomb walls, we can still get an idea of ancient Egyptian police and their duties. We have to remember that the history of ancient Egypt is very long – around 3,000 years – so of course, just like ancient Egyptian laws themselves, the duties and organization of those who execute the law also evolved over time.During the Old Kingdom, police and guards seem to have been formed mainly by locals responding to security issues. For example, the protection of property, assets, and tombs was in demand, and so those who could afford it hired guards. Afterwards, the more general ancient Egyptian police force became a bit more organized and began to grow as paramilitary units. At first, they were mainly allocated to border patrol and protection, and mainly composed of the Medjay. The ancient Nubians cannot be admired enough, yet unfortunately most of us do not pay as much attention to them as we do to the ancient Egyptians. But let me tell you, they are so closely linked that we cannot really separate them fully. In fact, ancient Egypt was ruled by Nubian kings for many years. One of the things the ancient Nubians were known for is that they made excellent warriors, especially as archers. The Medjay in particular were a semi-nomadic people that came from the land of Medja, in ancient Nubia. These people were integrated into the ancient Egyptian work force and society. Slowly their importance in the ancient Egyptian military grew, and they had a central role in the campaign against the Hyksos by king Kamose – a very important turning point in ancient Egyptian history. More and more their role as warriors and protectors gained the favor of the ancient Egyptians, and they began to serve not only in the military, but also as policemen and guards all over the country. This growing importance is highlighted by the fact that during the New Kingdom the word Medjay was used to describe any policemen, including those of non-Nubian origin. Most policemen and guards were armed with staffs, though some would also have police dogs, and even types of trained monkeys (though that was quite rare). Around the time the ancient Egyptian police were organized into a more coherent force in the New Kingdom, a hierarchy was structured. At the head was the Chief of the Medjay, meaning the Chief of Police, and under him were his deputies. Then each region would have police captains. In the more remote areas, such as on the borders, the military would take care of the policing duties. Depending on the need, some special units would be assembled for specific missions, such as on important expeditions. Though foreigners, whether immigrants or prisoners of war, were integrated into the police force – especially the Nubian Medjay as we mentioned, the higher official positions were usually kept for Egyptians… and the Chief of Police was most likely chosen by the pharaoh or vizier. Apart from the regular duties of protecting civilians and property, the police would also accompany the tax collectors to make sure peasants paid their taxes fully and on time. Sometimes they were also responsible for delivering important or sensitive messages for government officials. Patrolling the marketplaces in an effort to avert thieves was also a common role. 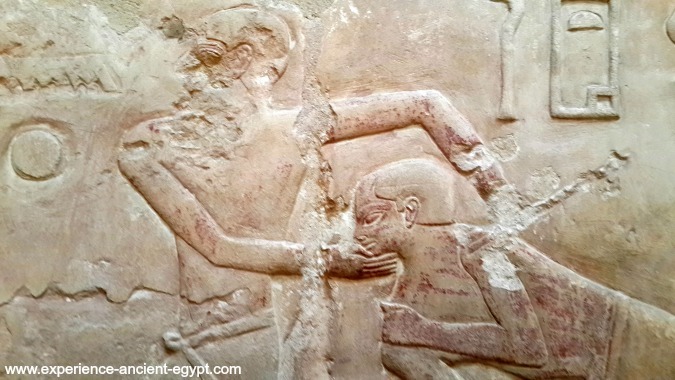 One of the most frequently mentioned crimes in ancient Egypt is robbery – including tomb robbery. Yes, there were ancient Egyptian robbers or ancient Egyptian tombs. Some of the tombs of the elite were laden with such treasure that they were a big temptation even to people who are meant to protect them. And finally, catching criminals and collecting evidence was an important task.